Most people visiting Cumbria head straight for the Lake District, but if you prefer somewhere a little different, a little quieter, and are interested in estuarine landscapes, gentle walks and abundant wildlife, then Arndale will be for you. 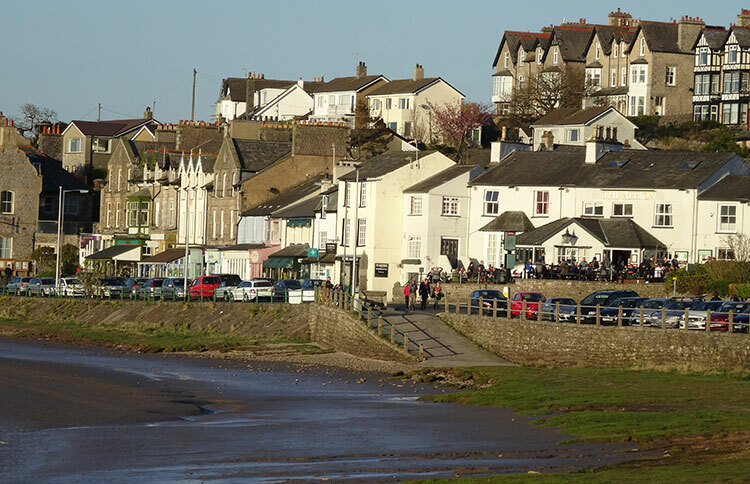 Arndale has wonderful views across the River Kent estuary to Grange over Sands on the other side, and the estuary is great for spotting wildlife. For outdoor eating, there are a couple of chippies or why not have lunch in a waterfront pub and soak up the spectacular views? In the afternoon, we will visit Grange over Sands. This is a quiet seaside retreat on the southern tip of the Cartmel peninsula, between the mountain and the sea. It is a pretty resort with an Edwardian flavour and old-world charm. There is a wonderful clock tower to admire. It has lovely views overlooking Morcambe Bay. There are several places to drink and eat whilst gazing at the Bay. the ornamental gardens has a lake with many water birds. So if you fancy discovering a more secret area in Cumbria, awash with wonderful wildlife and stunning views, this trip is the one for you.